The Egyptian Pharaoh had heard rumours of a sorcerer named Dedi of Djed-Snefern who could make prophesies and perform other wonders. It was alleged that Dedi was 110 years old and that he could eat 500 loaves of bread and a shoulder of beef, drink 100 jars of beer each day, and resurrect decapitated creatures. It was also said that a lion was trained to follow Dedi with its leash trailing on the ground. Once when Dedi was presented before the king, Khufu suggested that a jailed prisoner be brought forward and be executed by having his head severed and then Dedi would reattach it. However Dedi convinced the Pharaoh that this would not be necessary, as it was never allowed to do something like that on the noble flock. Instead he used a goose. Dedi decapitated the goose, placing the head at the eastern end of the audience hall and the body at the western end. When Dedi uttered a secret spell, the head of the goose stood up and started to move, as did the body. The goose ended up cackling and waddling out of the hall. Dedi performed the same upon a water fowl (possibly a pelican), and then he had a bull calf beheaded for him to restore intact. Apparently even in those days, magicians never did the same trick twice in exactly the same way—a cardinal principal in conjuring. Throughout Egyptian history come many tales of magicians of the Nile and many stories refer to magic tricks that have a similarity to what Dedi performed. It is well-known that temple priests used various magical effects to bewilder and hold power and influence over the Pharaoh’s subjects. They made use of the basic principles of physics, mechanics, and pneumatics to appear as magic. Typical was the use of sound chambers to make graven images speak, and fire or water to appear from the mouths of idols. The priests and deceptionists who were the first charlatans became the forerunners of later fraudulent occultists. Dedi’s legend lived on and a potent legend it became, handed down by word of mouth. It was not till a thousand years later, after his royal command performance for Khufu, that the story of Dedi’s powers was put into words and written down for Egyptologists and historians to ponder. It was an anonymous scribe who penned the tale well over four and a half thousand years ago, which makes Dedi’s Cut and Restored Goose illusion something well over 5,000 years old. It is said to be the first written account of a conjurors’ trick according to many experts. 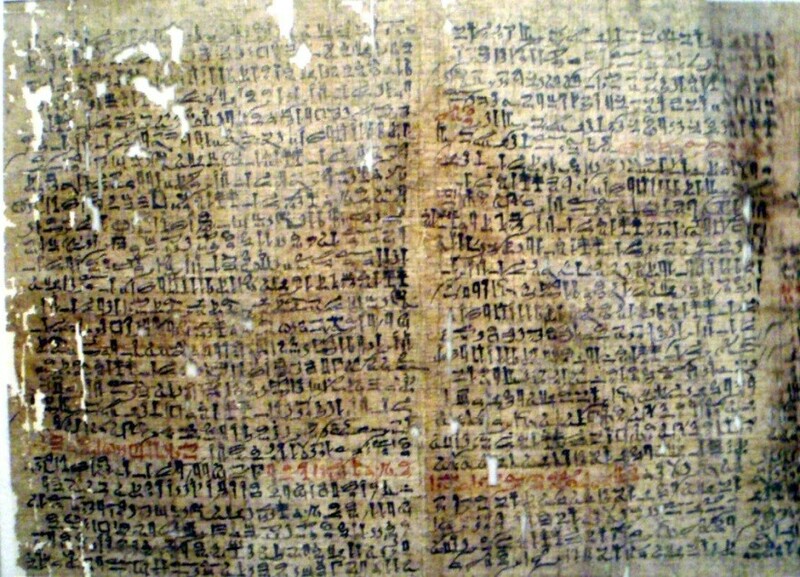 The papyrus was edited and translated completely in 1885–1890 by German Egyptologist Adolf Erman. There remains some mystery about the Westcar papyrus itself. It is believed that it was originally obtained from an ancient Egyptian tomb some 200 years ago and acquired by Henry Westcar who was visiting Egypt as an amateur Egyptologist. After Karl Lepsius died in 1884, the papyrus passed to the Berlin State Museum where its presence was known and acknowledged up till 1939. Then World War II came and museum authorities now declare that the papyrus is not a result of the aftermath of the war in Berlin. The late British magician Peter Warlock spent the latter part of his life investigating and researching the possible whereabouts of the Westcar papyrus and its story. It is the well-informed opinion of Magic Circle members in London that all papyri in Berlin may have been carried off to Moscow during the Russian occupation after the war. However Warlock wrote in The Magic Circular (organ of the Magic Circle) that British sources in Russia are unaware of the said papyrus ever having been exhibited or of the Russian government having admitted to having possession of it. How was Dedi’s trick done, or more importantly, was it ever done? Often when someone relates an account of something he has seen, particularly a magic trick, when he forgets the details, he exaggerates or he invents. And so the story is often taken out of proportion in relaying it. Is the story of Dedi’s miracle performance before Cheops a figment of the imagination? Many magicians believe that it’s a fairly true account of what really happened so long ago and may indeed have been underwritten rather than exaggerated. Today magicians can easily make you believe that they have cut off a bird’s head and restored it again. They can show you illusions in which an assistant’s limb or head is severed and magically replaced. The decapitation of a bird is rarely seen these days due to ascetic reasons. 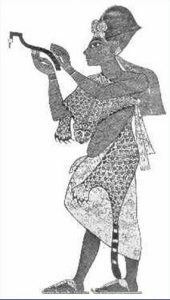 Nevertheless we give credit to the scribe who recounted the story of the magician Dedi’s performance at the royal court. One theory is that the beheading of the bull calf may have possibly been accomplished with some sort of guillotine similar to the apparatus magicians use today. Recently on the Penn and Teller show Fool Us (in an updated version), English magician Ali Cook performed a dual decapitation of a duck and a chicken. When restored, the chicken’s head was on the duck and the duck’s head was on the chicken. It was quite a stunning magic trick similar to that which Dedi surely must have impressed those at Cheops’s court, and which has been fortunately written down in the history of magic. Again a very interesting article David being the Dedi the Magician. I must say you keep finding great items on Magic to read, thank you.